A lightly foaming refreshing facial cleanser to soothe and balance. Naturally and gently removes dirt and if used regularly can help reduce tear stains around eyes and mouth. The treatment includes a relaxing head massage. Treat your pet to a fresh breath treatment using our mouth brush and mouth gel containing a blend of natural, holistic ingredients to kill germs which cause bad breath, plaque and gingivitis. A relaxing pedicure including a vanilla and milk thistle bubbling paw soak, nail trim, between pads and paw trim and a gentle paw massage. This treatment helps revitalise paws subjected to gravel, asphalt, snow, salt treated roads and hot pavements. Vitamin enriched to keep paws soft and less likely to crack. It soothes paws and leaves your pet feeling refreshed. Our Superior Pedicure includes all the benefits of the Splendid Pedicure but with the addition of a protective paw balm to finish. All natural ingredients including aloe, shea butter, cocoa butter, mango seed butter and vitamin E. These ingredients offer antiseptic and moisturising properties to protect, heal and moisturise your pets paws. Our Luxurious Pedicure includes all the benefits of the Superior Pedicure but with the added luxury of painted nails. Our nail polish is safe for pets, quick drying and only requires one coat. 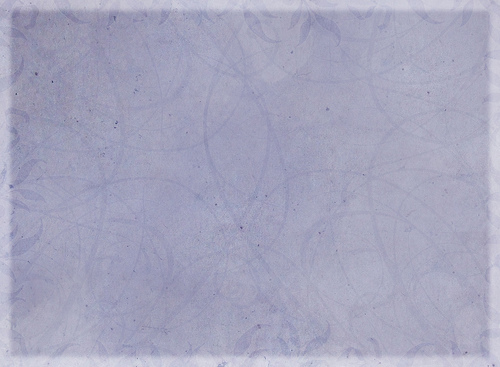 Colours available: silver foil, light rose foil and purple foil. The Dead Sea Mud Bath restores natural beauty to the coat and deep cleanses the skin while relaxing the pet. The essential oils and minerals strengthen the skins immune system and help with blood circulation. This rich formula naturally repels fleas and ticks whilst remaining hypoallergenic and is safe for dogs of all ages. 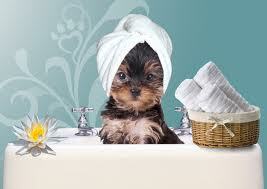 After treatment your dog will be finished with a gentle towel dry, fluff dry by hand and brush. Dead Sea Mud Bath can be chosen for your dog as a separate treatment without having a full groom and style. This can only be given as a separate treatment if your dog’s coat is in good condition and your stylist will be able to advise you on this. Prices for Dead Sea Mud Bath will depend on the size of the dog, condition of the coat and density of the coat as drying time will also need to be taken into account.